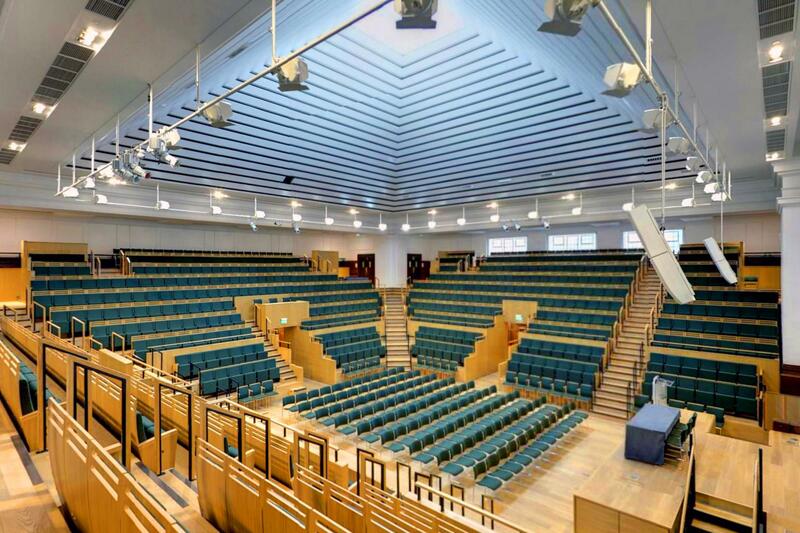 The Light is the largest conference space available for hire in London's Euston and Kings Cross area with a capacity of up to 1,000 delegates. The flexible space lends itself to a variety of configurations, from large, theatre-style layout and corporate business events through to exhibitions and banquets, marking it as one of London’s most exciting and unique event spaces. Unique in its build, the new 1,000-capacity auditorium has over 200 square meters of floor space, flooded with natural light. The design incorporates the highest specification for accessible meeting spaces in the capital. Designed with care for the environment, The Light embraces efficiency in its lighting, insulation and temperature control. The Light has a dedicated reception, offering delegates the option of privacy for more intimate or branded events. It benefits from optional add-on breakout meeting rooms and eating spaces for up to 1,000 delegates. A professional events team is on hand at all times to ensure the seamless planning and delivery of your event.